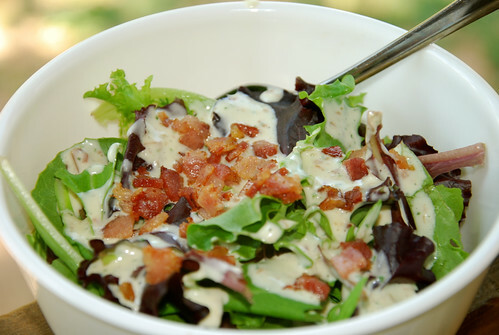 Combine all ingredients in a food processor and process until well combined, and drizzle over salad. Top with more bacon, if desired! « Who Wants Some Free Coffee?! That looks GOOD!!! I love cilantro and bacon! What a great dressing. Will have to make ASAP! Did you use dried cilantro or fresh?